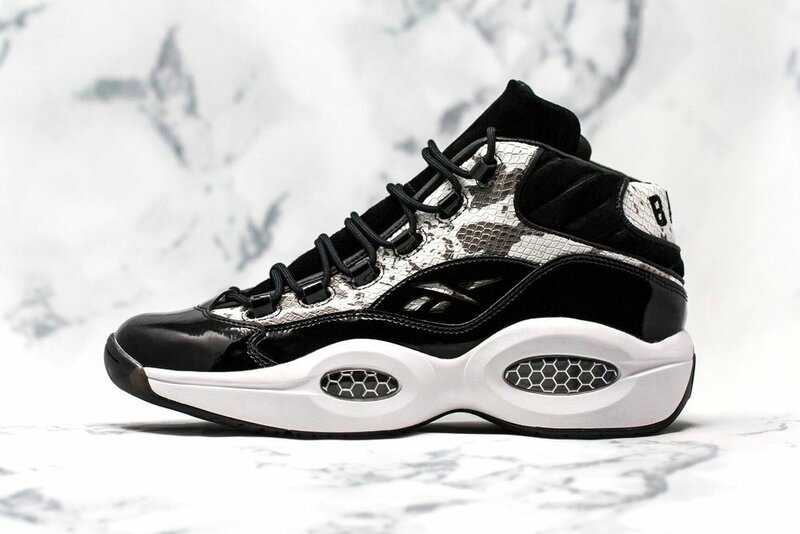 Celebrating the 2018 NBA All-Star Games, BAIT and Reebok dig into the archives to bring back the “Snake” Question Mid in an updated premium iteration. 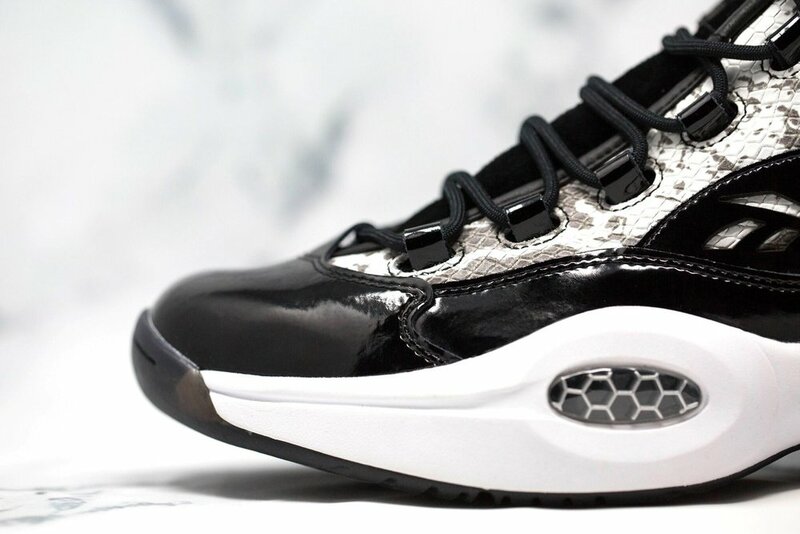 The “Snake 2.0” features black patent leather that wraps around the toe, quarter, and heel. The staple snakeskin material highlights the upper, balanced by a solid black premium suede tongue. Branding is applied by embroidery on the heel and a die-cut quarter panel. 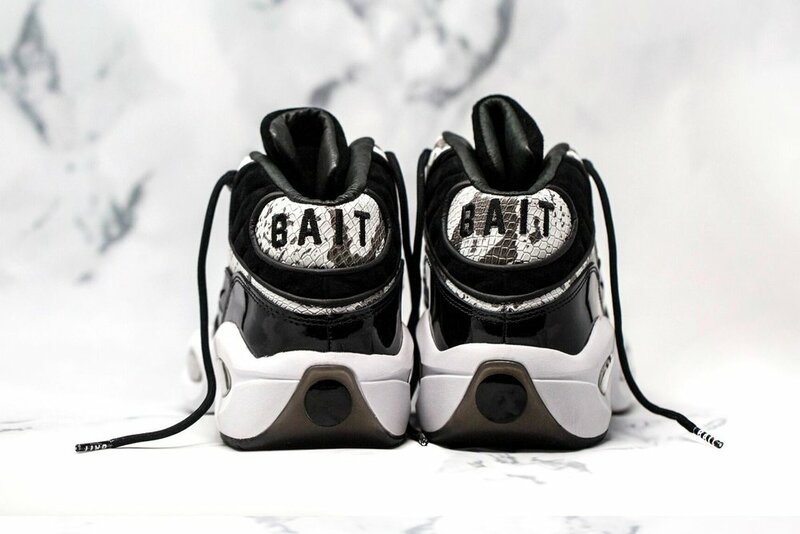 Leather lining and piping detail the design for a premium upgrade. Patent leather eyelets hold 2 lace options: black athletic rope laces and black waxed rope laces. A clean white midsole encapsulates the silver metallic Hexa-lite technology, while a smoked translucent outsole runs along the entire bottom. Sign up for the RAFFLE now to get the chance to cop these.